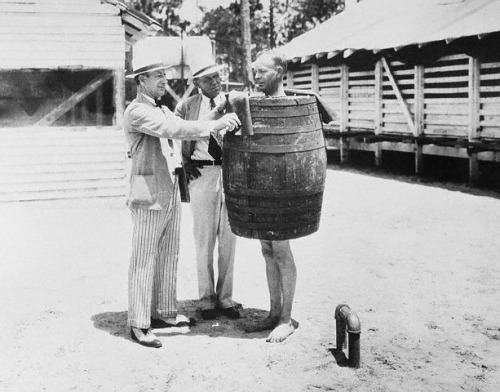 Members of the Grand Jury examine the sweat box barrel used by the Sunbeam Prison Camp in Jacksonville, Florida. 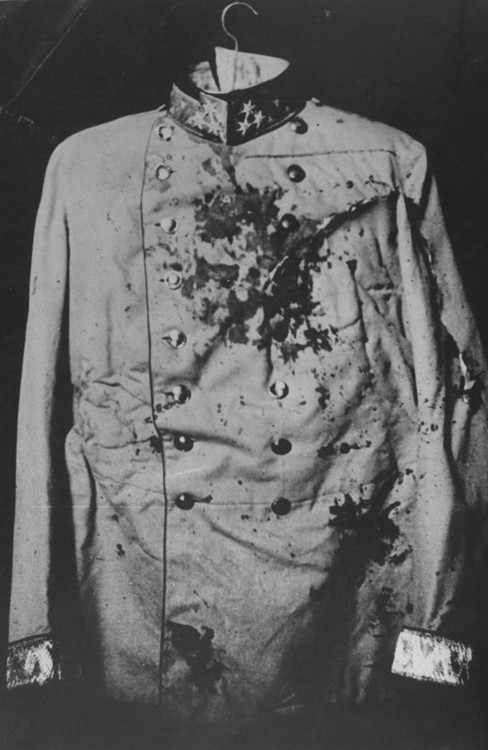 Prisoner Arthur Maillefert died after being forced to wear the device around camp as punishment, in the heat of the summer sun - July 1932. 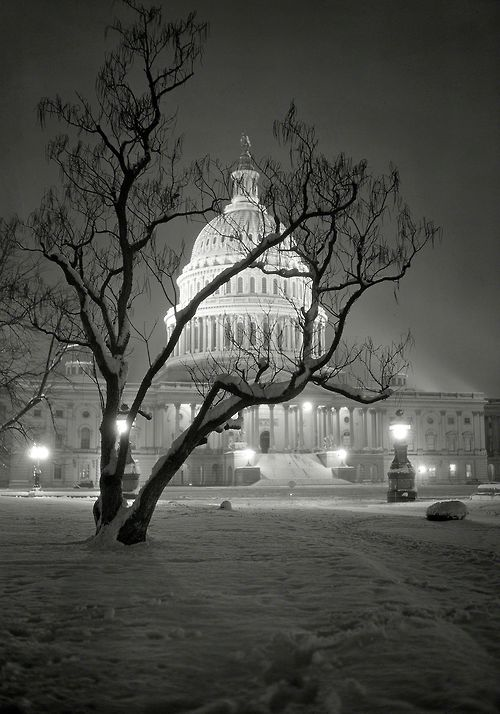 The United States Capitol Building on a snowy night in 1935. 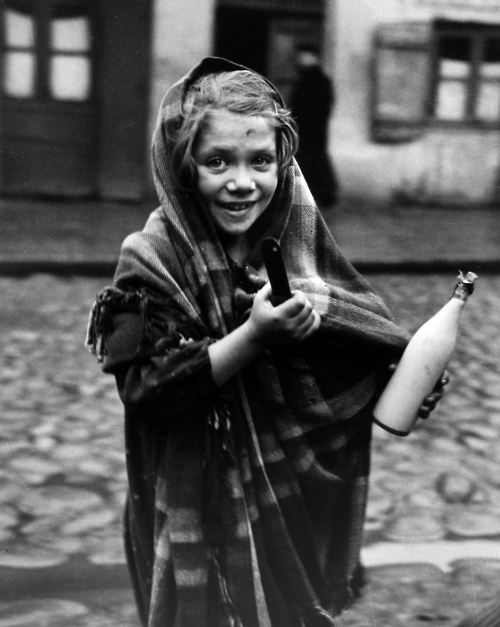 A Young girl returns from the store with a pot of soup and a bottle of milk in Łódź, Poland - Circa 1938. 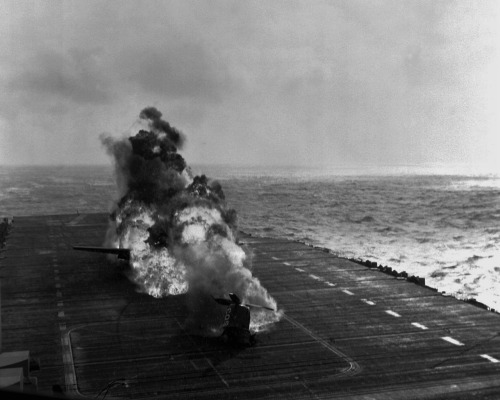 A Douglas AD-4 Skyraider of attack squadron VA-115 Arabs, Carrier Air Group 11 , bursts into flame as the engine breaks off upon landing aboard the U.S. aircraft carrier USS Philippine Sea - December, 1950. 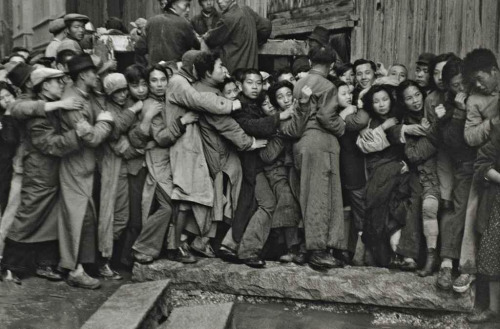 Shanghai citizens at a government bank to exchange paper money for gold as People’s Army approaches the Nationalist Capital of Nanking during the last days of the Kuomintang, 1948. 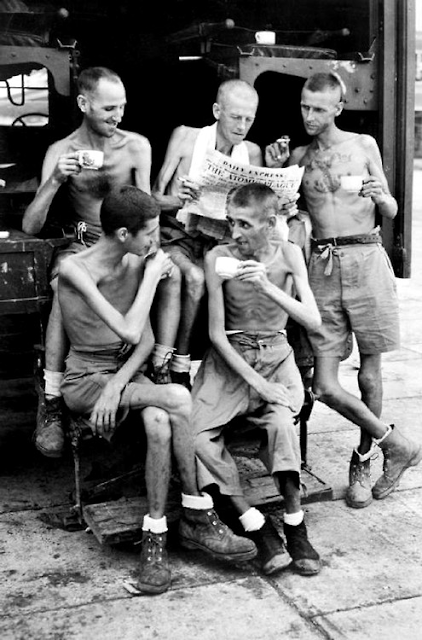 Five Australian former POWs catch up on news about the atomic bombings, after their release from Japanese captivity in Singapore, September, 1945. 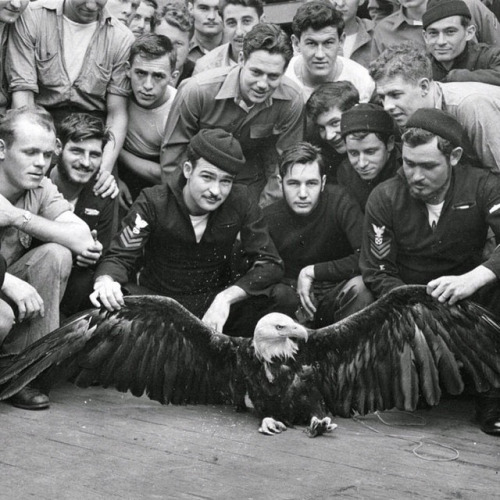 U.S. Navy sailors pose with an eagle they rescued in 1944. 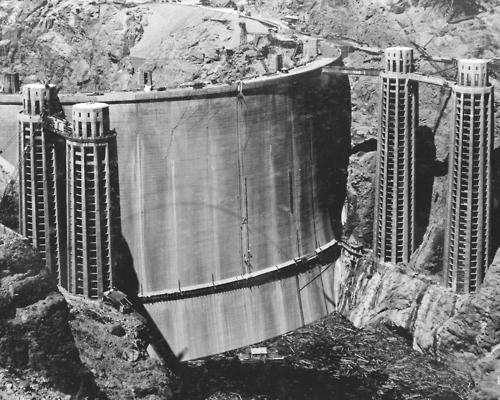 The rarely seen back side of the Hoover Dam before it filled with water in 1936. 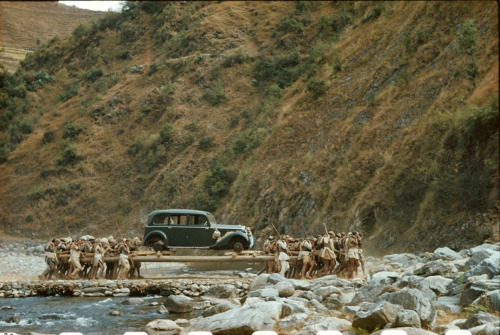 Nepali men carrying the new 1938 Mercedes Benz that Adolf Hitler gifted to King Truibhuvan of Nepal . 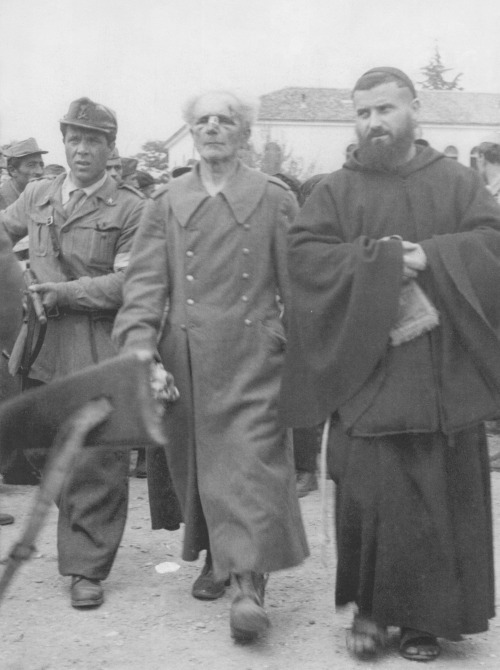 It had to be carried to the capital by men as there were no roads suitable for the car leading to the city. 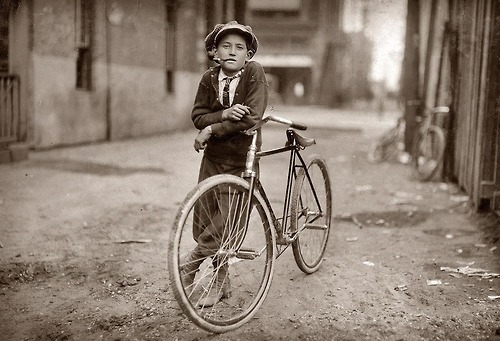 Messenger boy working for the Mackay Telegraph Company smoking a pipe, Waco, Texas, 1908 - Photo by Lewis Hine. 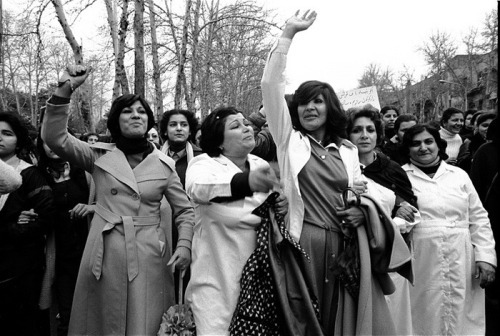 Iranian women rebel against the 1979 Hijab Law. 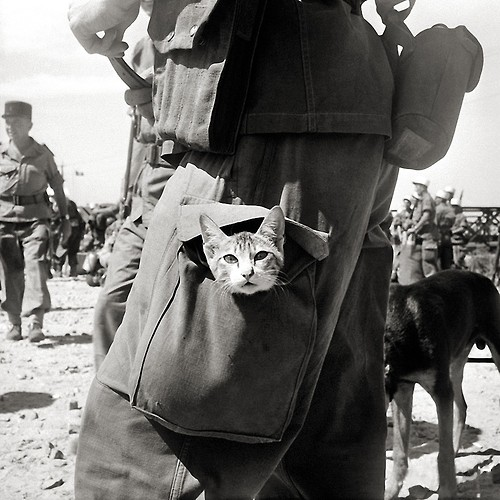 This was the last day women were able to walk the streets of Tehran with their heads uncovered. 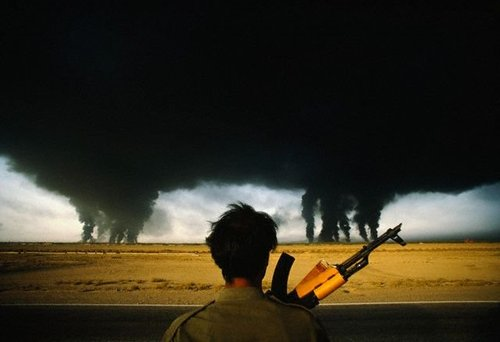 An Iranian soldier looks out over the desert, darkened under clouds of burning oil wells set on fire in Kuwait by Iraqi forces as they retreated north in 1990. 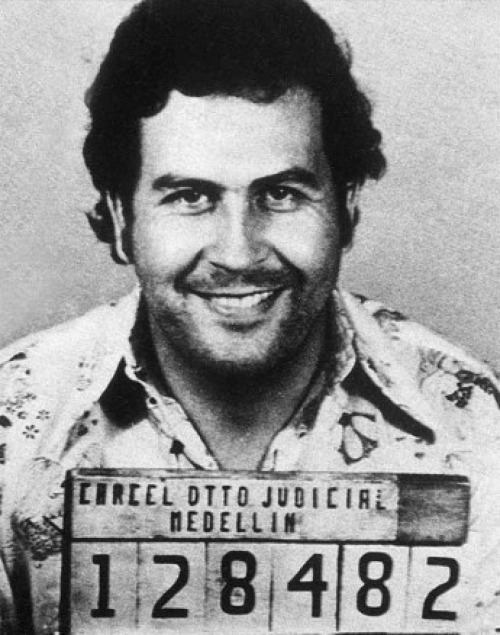 Pablo Escobar's mug shot after his arrest for drug trafficking but was soon let free after bribing his arresting officers - 1976. 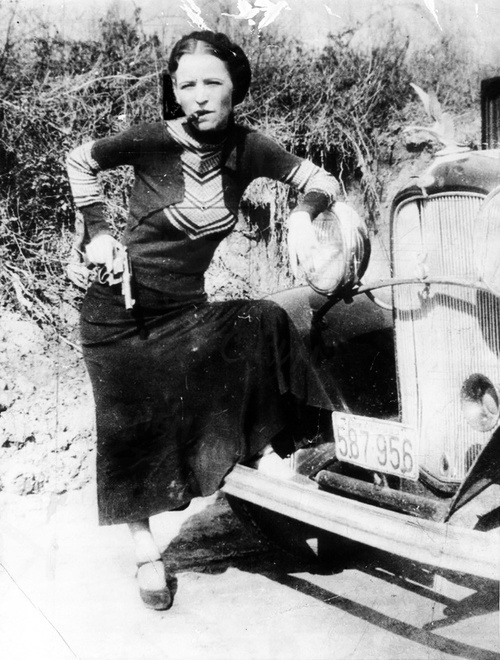 Bonnie Parker, of Bonnie and Clyde fame poses as a fugitive for the camera, Circa - 1933. Lyndon Johnson’s bodyguard, Rufus Youngblood, covered with paint and pointing out the anti-Vietnam protesters who threw it at the president's motorcade in Melbourne, Australia - 1966. 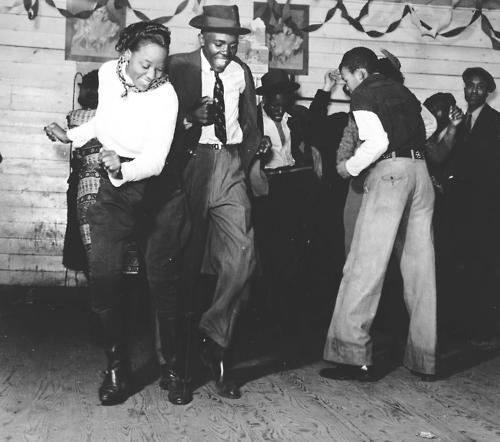 Jitterbugging in a Juke-Joint, on a Saturday evening, Clarksdale, Mississippi, 1939. 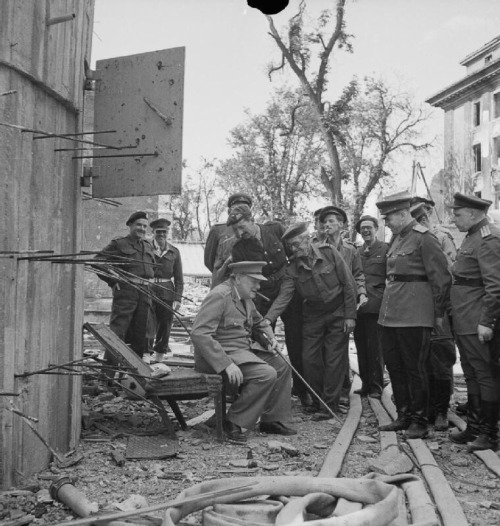 Winston Churchill sits on a damaged chair from the Führerbunker Berlin, Germany - July, 1945. 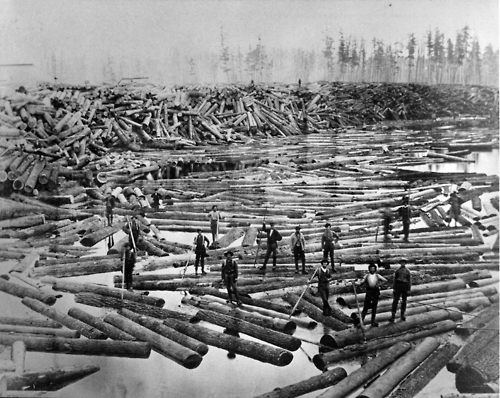 Beginning of the log drive, Grand Rapids, Circa 1890s. Boys selling smuggled cigarettes in postwar Naples, Italy, 1945. 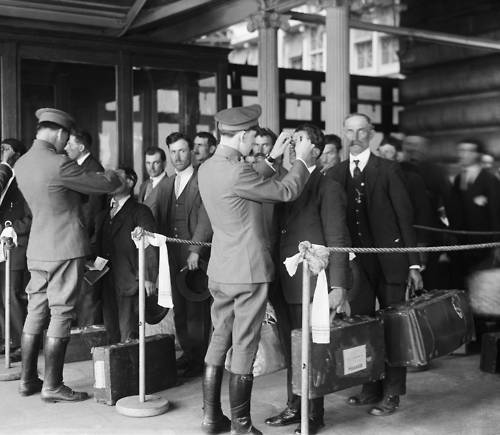 Health inspection for new immigrants, Ellis Island, New York, 1920. Fascist Tullio Santi is brought to the execution squad after trial, Venice, Italy - April, 1945. 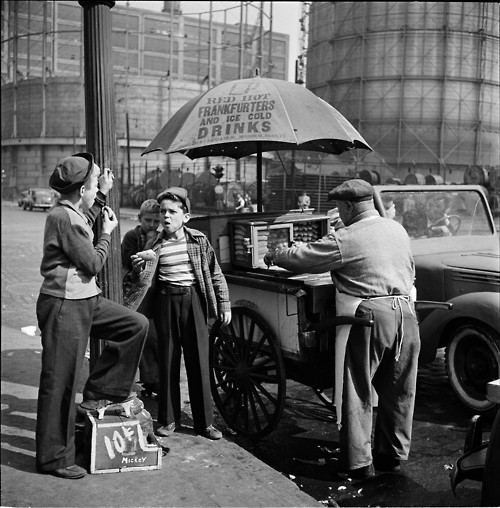 A New York Hot Dog Stand in the 1940’s. 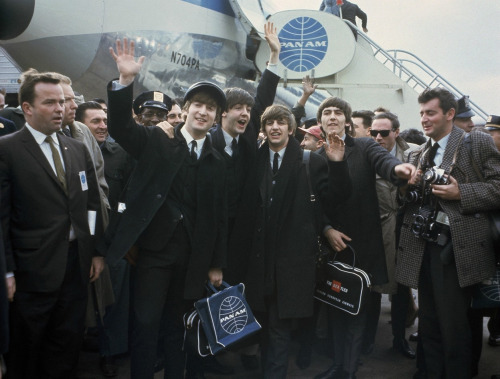 The Beatles arrive at JFK airport for their first visit to the United States - February 1964. Archduke Franz Ferdinand of Austria's bloodstained jacket worn on the day of his Assassination in June 1914 / The incident led to the start of World War I. 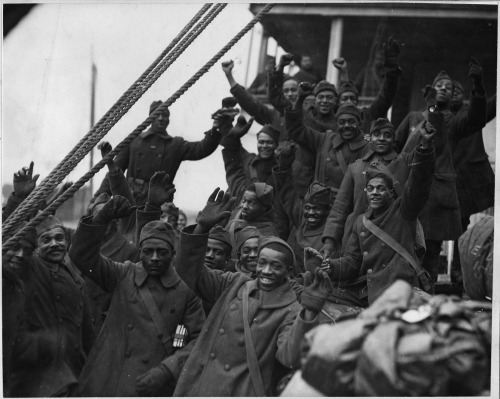 The men of the 369th ‘The Harlem Hellfighters’ arrive back in New York City, 1919. 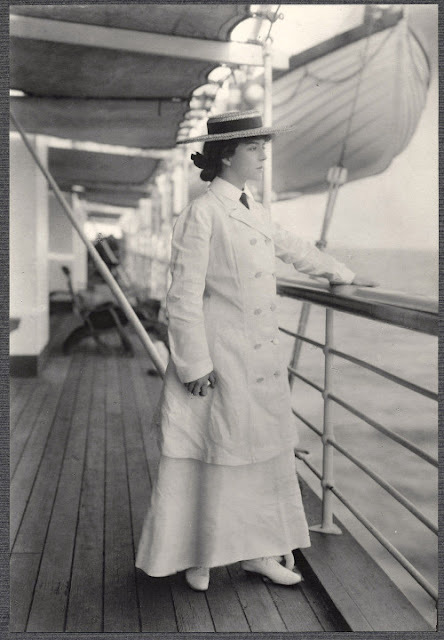 Alice in Asia / Alice Roosevelt, the daughter of President Theodore Roosevelt, helped lead a delegation of government officials along with Secretary of War, William Howard Taft, to the Far East on a diplomatic mission to visit Japan, China, and the Philippines - 1905. 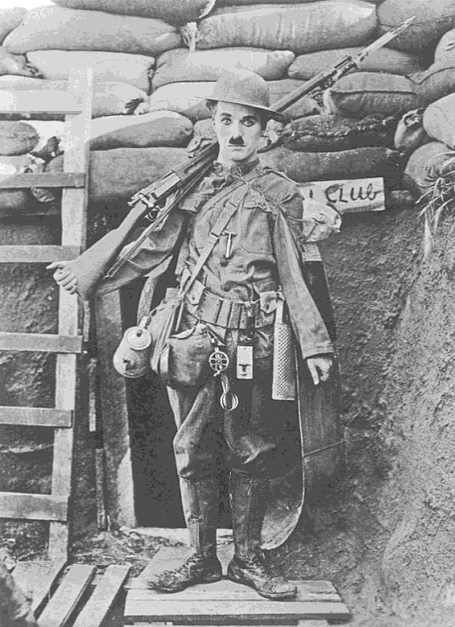 Charlie Chaplin in uniform on the set of ‘Shoulder Arms’- 1918. 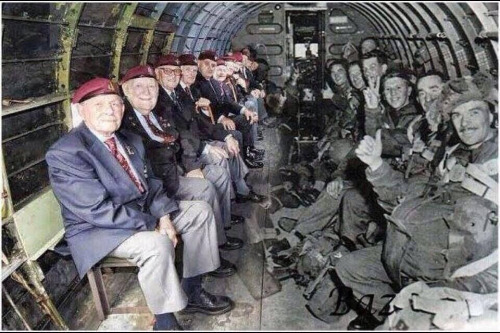 D-Day veterans sitting across from themselves in the same plane that dropped them into Normandy - June 1944. 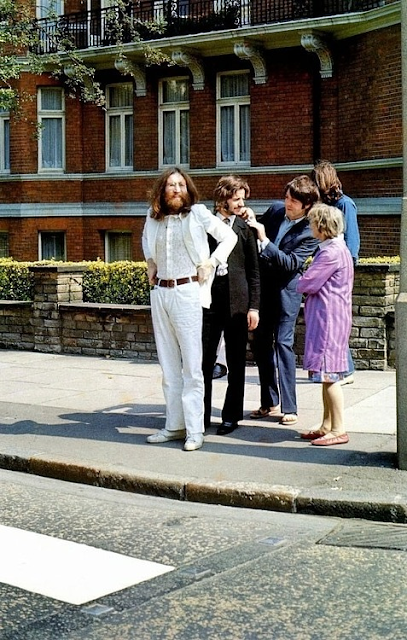 The Beatles preparing to cross Abbey Road for their album cover shoot on August 8th, 1969. 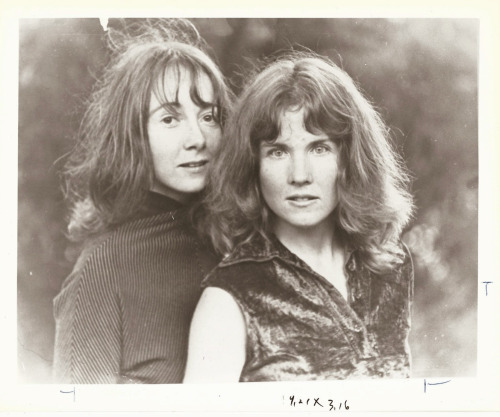 Members of the Charles Manson "Family" Squeaky Fromme and Sandra Good. 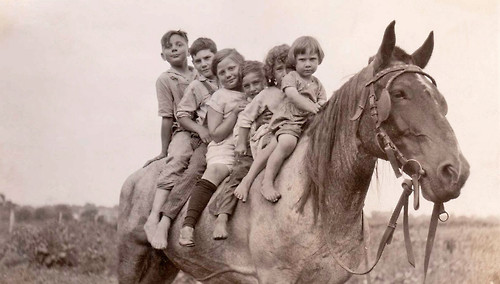 Six kids on a horse in Ottawa, Illinois, 1920. 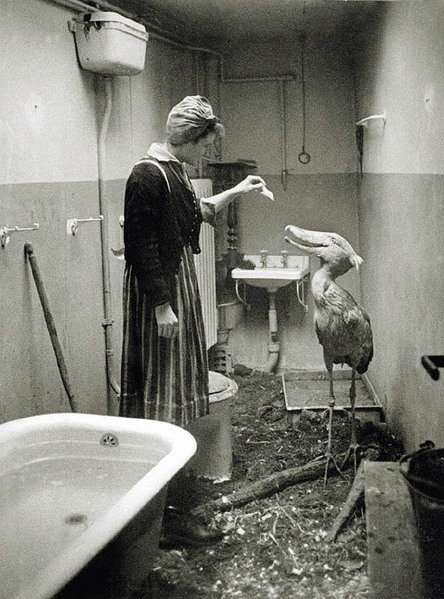 A woman cares for a shoe-bird from the Berlin Zoo in her bathroom, to protect it during the final allied assault on the city - 1945. 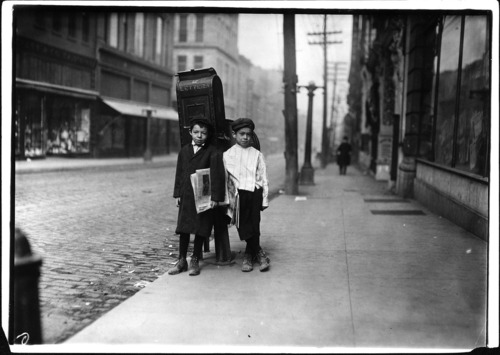 Two seven-year-old paperboys, Nashville, Tennessee, 1910. 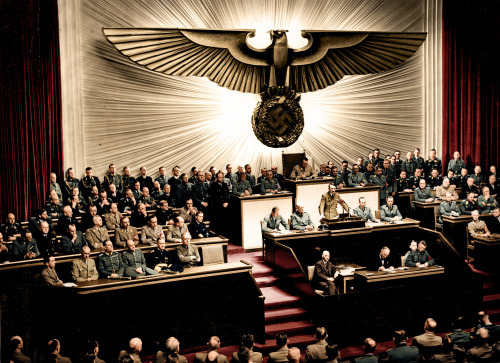 The speech where Adolph Hitler officially declared war on the United States - 1941. 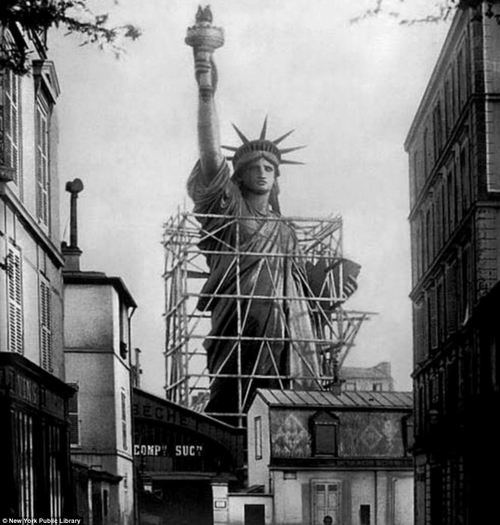 The Statue of Liberty, preassembled and surrounded by supportive scaffolding, in Paris shortly before it was crated and shipped to the United States - 1885. 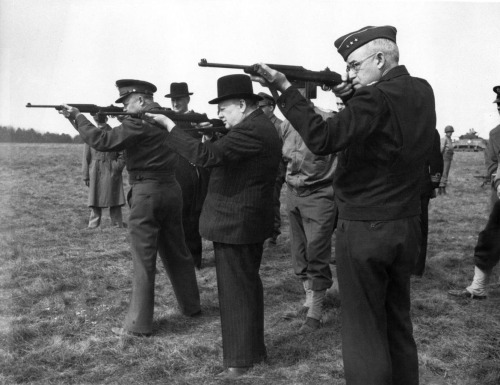 Dwight Eisenhower, Winston Churchill, and Omar Bradley firing M1 carbines, England 1944. 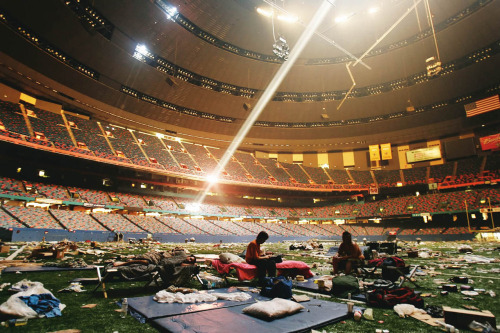 A beam of sunlight penetrates through the damaged roof of the Superdome as a few residents of the city of New Orleans remain inside following Hurricane Katrina - Photo by Mario Tama, September 2, 2005. 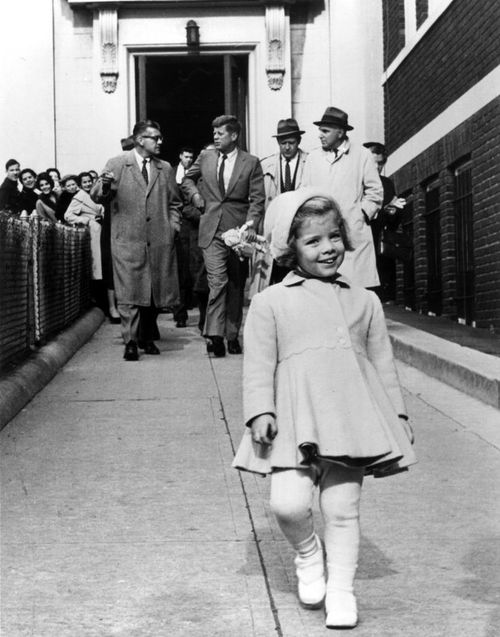 Caroline Kennedy walks on ahead while her father, JFK, carries her doll. January 1, 1963. 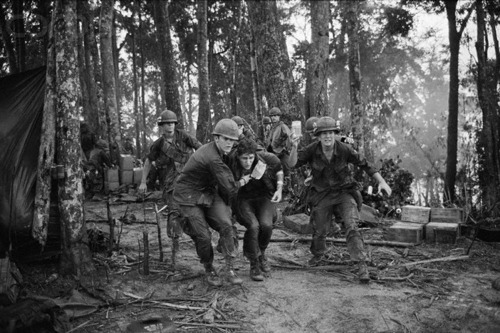 Medics help transport a wounded paratrooper to an awaiting evacuation helicopter during a fire fight on Hamburger Hill in the Shau Valley, South Vietnam - May 19, 1969. 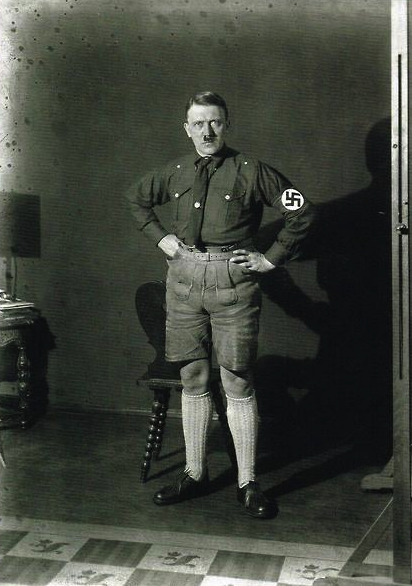 A rare photograph of Adolph Hitler looking less than fabulous in shorts – Circa, 1920. 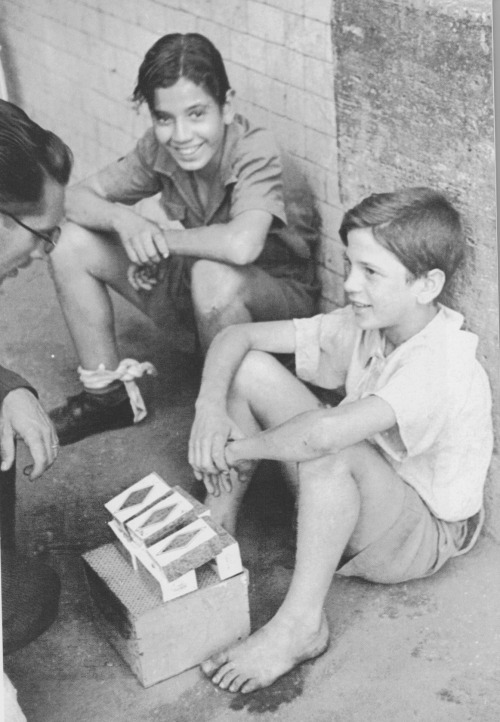 As a matter of tradition, acting Town Crier and Saltbearer of the city of London W.T. 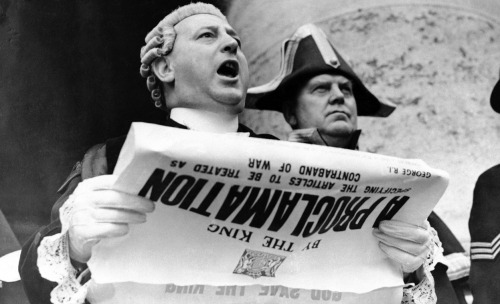 Boston, announces the Proclamation of War to the public from the steps of the Royal Exchange on September 4, 1939. 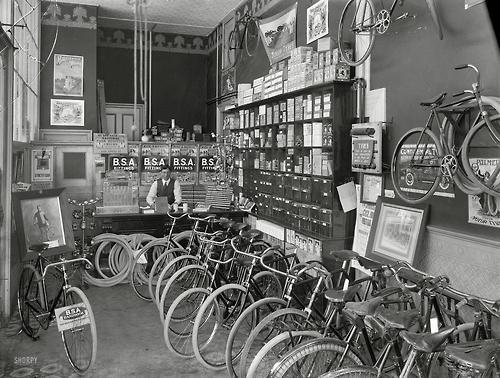 BSA Brand (Birmingham Small Arms Company) Bicycle Shop, 1910. 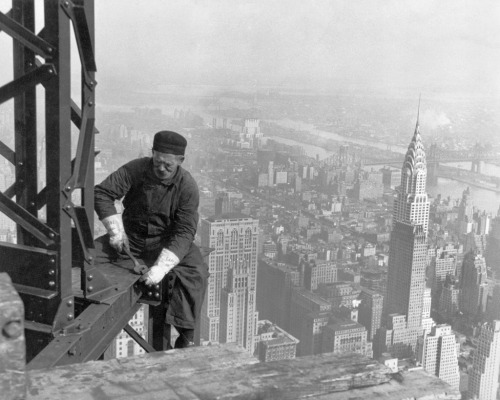 A construction worker tightens bolts on the steel skeleton of the Empire State Building with the Chrysler Building seen in the background - 1930. 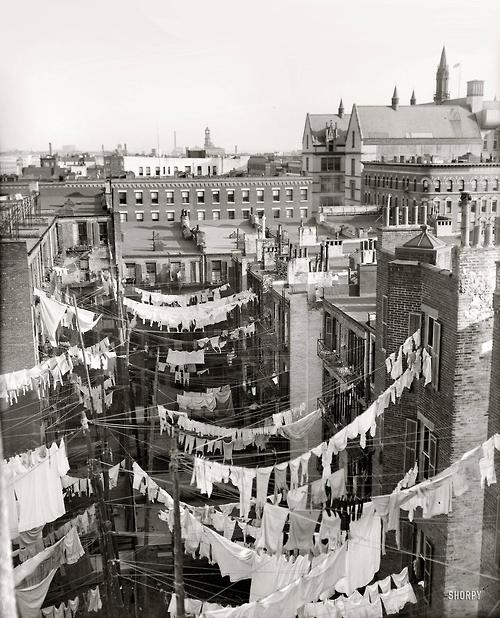 Manhattan yard of tenement buildings with laundry hung out to dry. 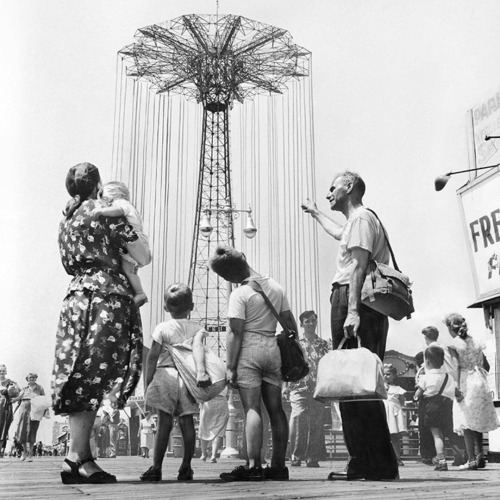 New York, Circa 1900. 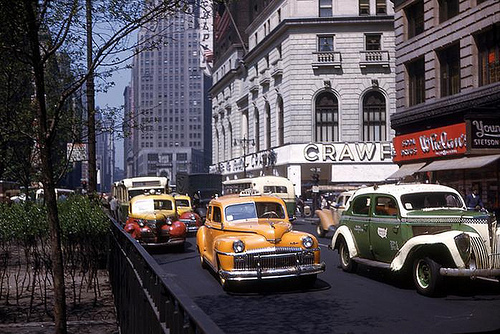 Street Scene of New York City / Colorized Photo - 1946. 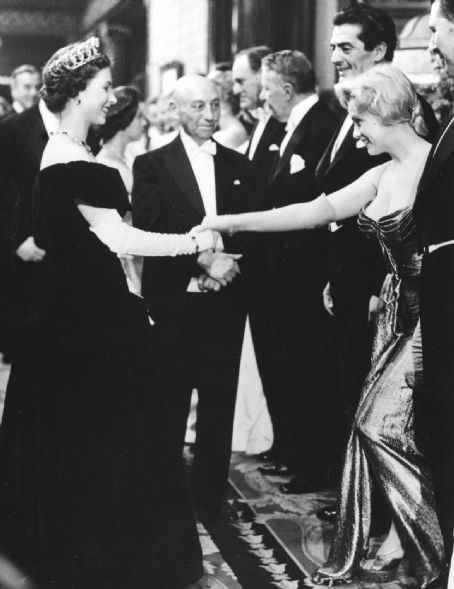 Marilyn Monroe Meets Queen Elizabeth II, 1956. 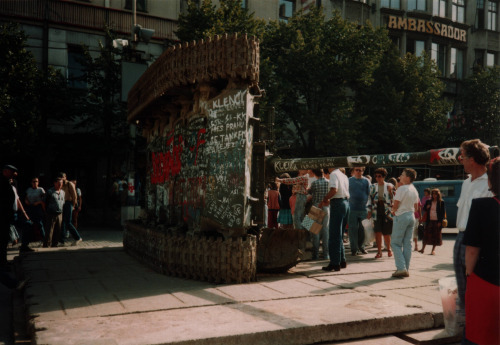 An overturned T-55 tank in Prague, Czechoslovakia - 1990. 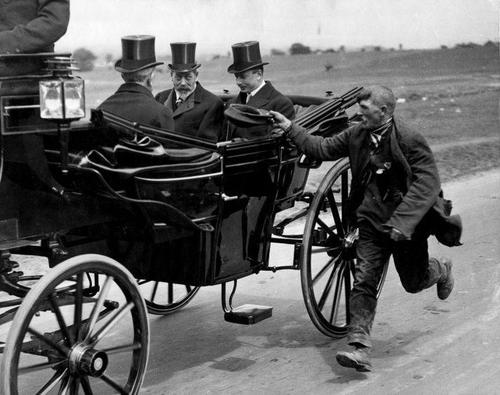 A beggar running alongside King George V’s coach in England, Circa - 1920. 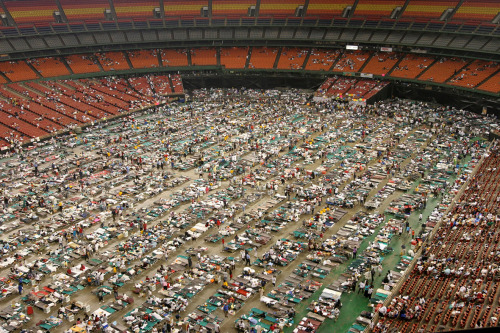 Displaced former residents of the Gulf Coast take refuge within the Houston Astrodome in the wake of Hurricane Katrina - Photo by David Portnoy / September 2005. 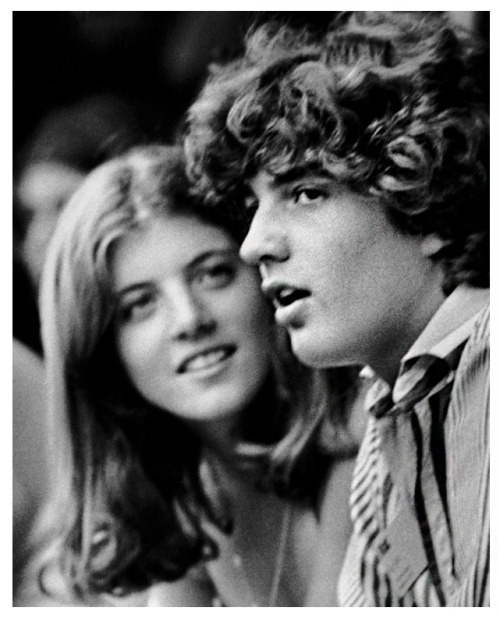 Caroline and John F. Kennedy Jr. at the Robert F. Kennedy Pro-Celebrity Tennis Tournament in Flushing Meadows Park, New York City - August 27, 1977. 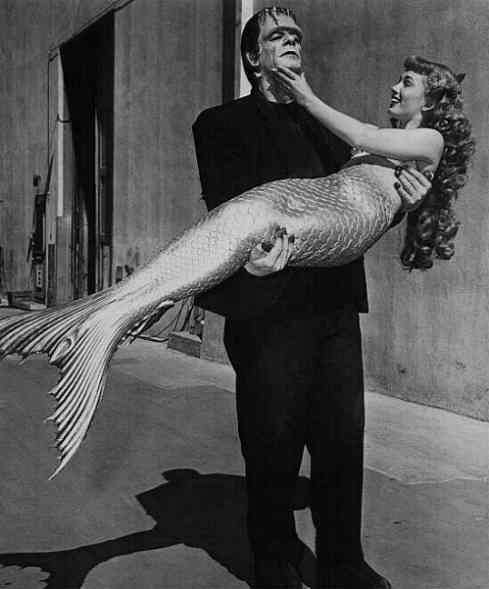 Glenn Strange as Frankenstein and Ann Blyth as a mermaid / The two movies were being filmed near each other in 1948. 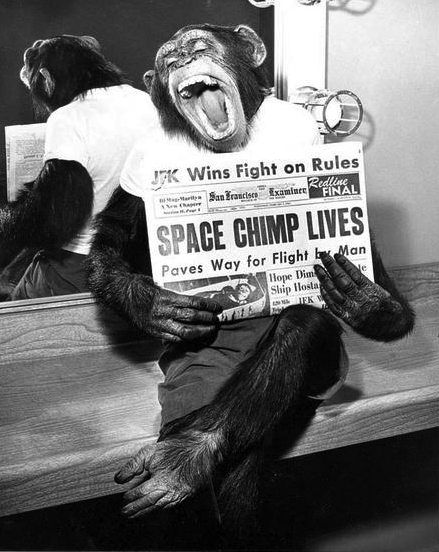 Space Chimp Lives! 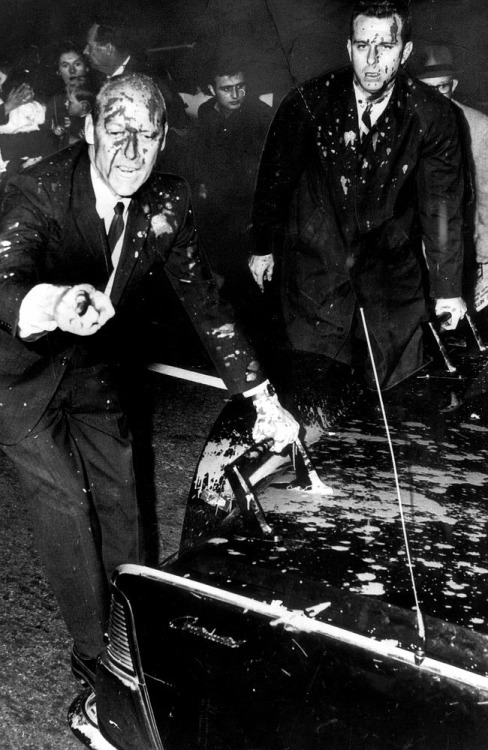 Chimp named Ham survives space flight, paving the way for human astronauts – 1961.